For my education? 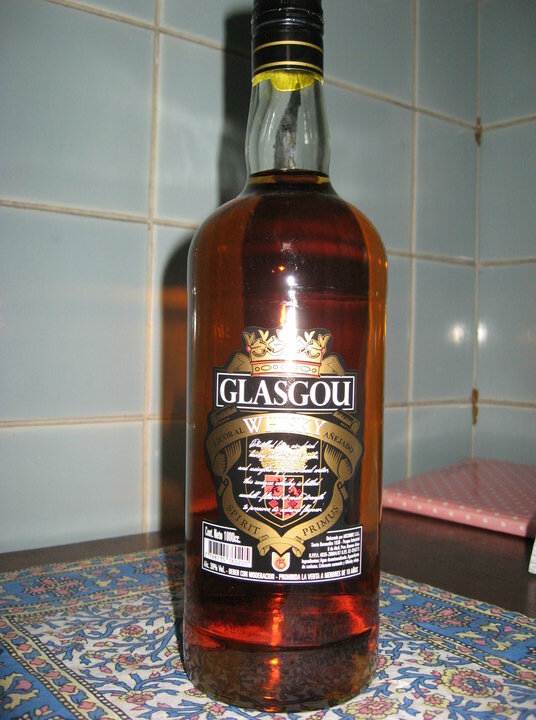 Glasgou whisky is a cheap brand ? Ice would ruin a quality scotch that should be tasted at room temperature? As a student in Edinburgh I worked in the Oyster bar beside the malt whiskey society and hostted many an evening of pure single malt bliss. A virgin Macallan for me..those were the good old days..
Jajajaja, man who is talking about what have you say, read the original post, don't take it to serious, the guy that i answer to put anarchists as if they were something of everyday in this city going around burning cars, they are just very small minorities like the neo nazi group not really visibles, read from the begining and you might understand what i'm talking about. Glasgou is "whiskey national" and have obviously copy pasted some text from a single cask malt whisky bottle. Its probably not even whisky, it certainly doesn't smell or taste much like whisky but for 10 pesos i had to buy it for the name alone! All whisky should be drank at room temperature as chilling it chills your tongue and thus you can't enjoy all the flavours the whisky has. Also adding ice prevents you from controlling how much water is in your whisky, too much water and you drown it, losing all the flavours again. Try it neat, then add a touch of water at room temperature until you get all the flavours in your expensive whisky. Personally i find only a drip of water can completely change a whisky. You wouldn't mix an expensive single malt with coke and you really shouldn't drink it on the rocks either. Thanks for your expertise. checked your profile and was intrigued with the term Footy? . Very good pic, taken from "Brave Heart"...!! William Wallace...!! My favorite liqueur is the (Isle of Sky) Drambuie with scotch I guess this is not the subject of this thread...! !